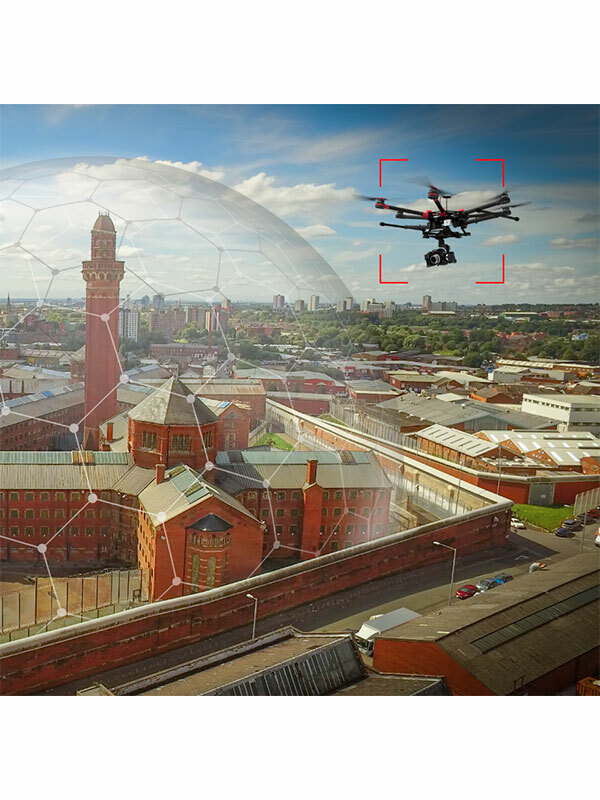 At DRONELESS we have the best technology on the market to meet the security needs of your airspace. And it can be integrated into any security system already installed. 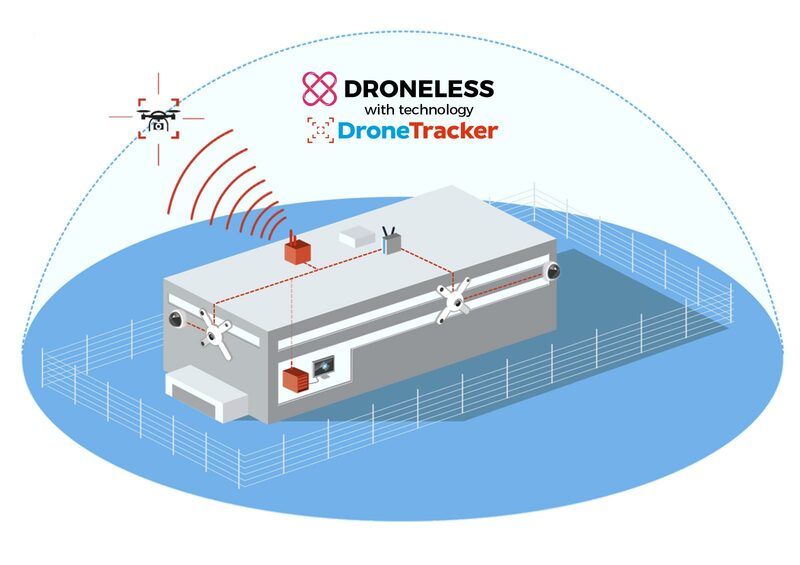 DRONELESS offers an automatic, integrated, autonomous and uninterrupted (24/7) platform that provides detection, classification and countermeasures to protect against threats from drones and their operators. 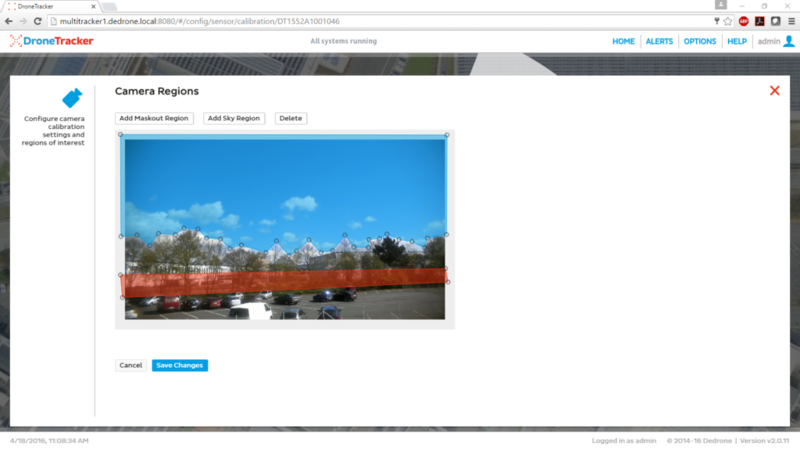 It is the only modular system on the market that can be customized to address specific threats, tailored for easy integration into an existing security program, and supports unique building structures, landscapes, and other custom conditions. Early detection of drones and UAVs. 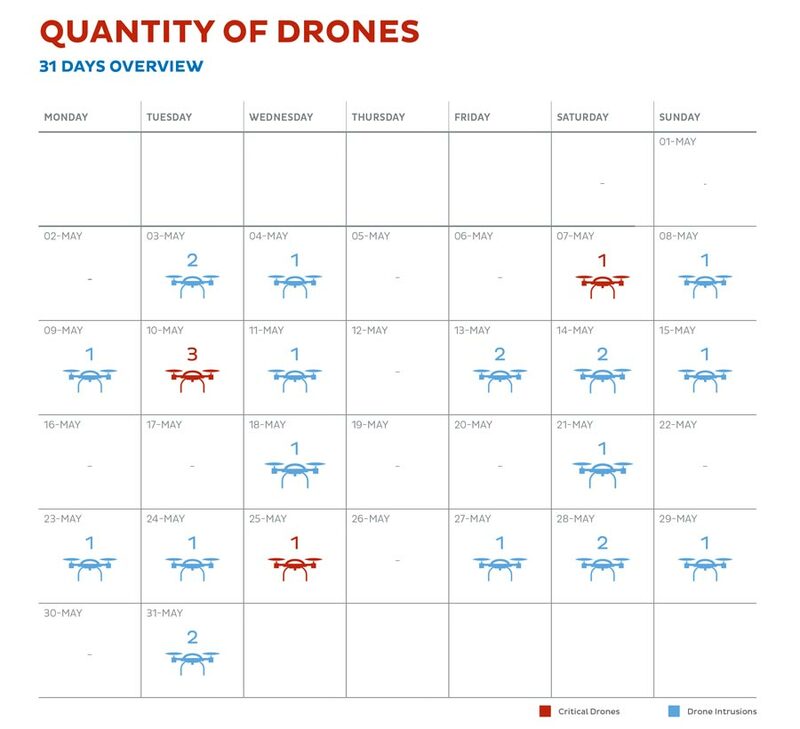 Recognition, identification and classification of each dron. Non-intrusive drones neutralization, active or passive. 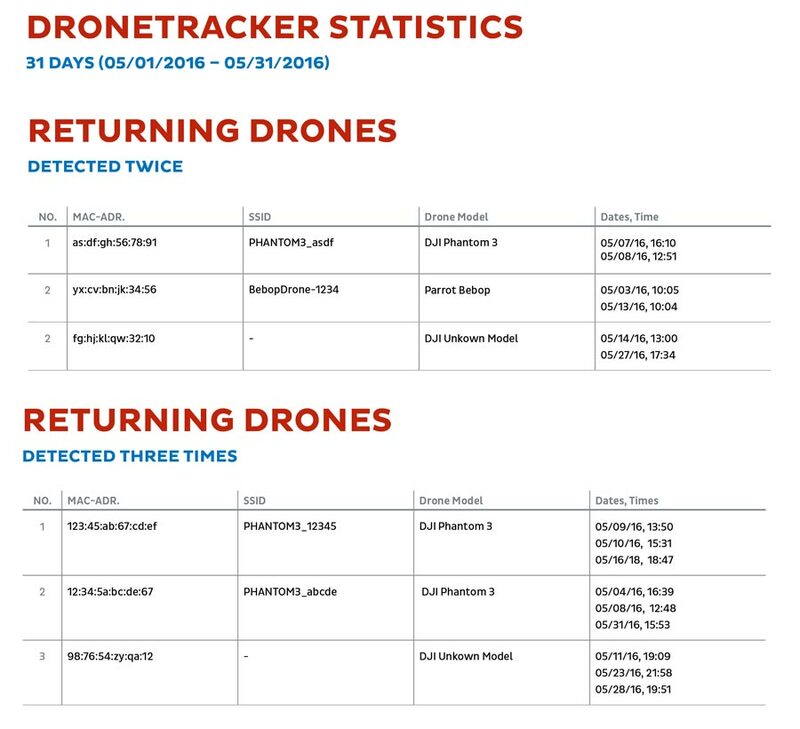 Dedrone’s DroneTracker® system reliably detects and identifies unauthorized drones by combining multiple sensors, correlative data and analytical analysis. 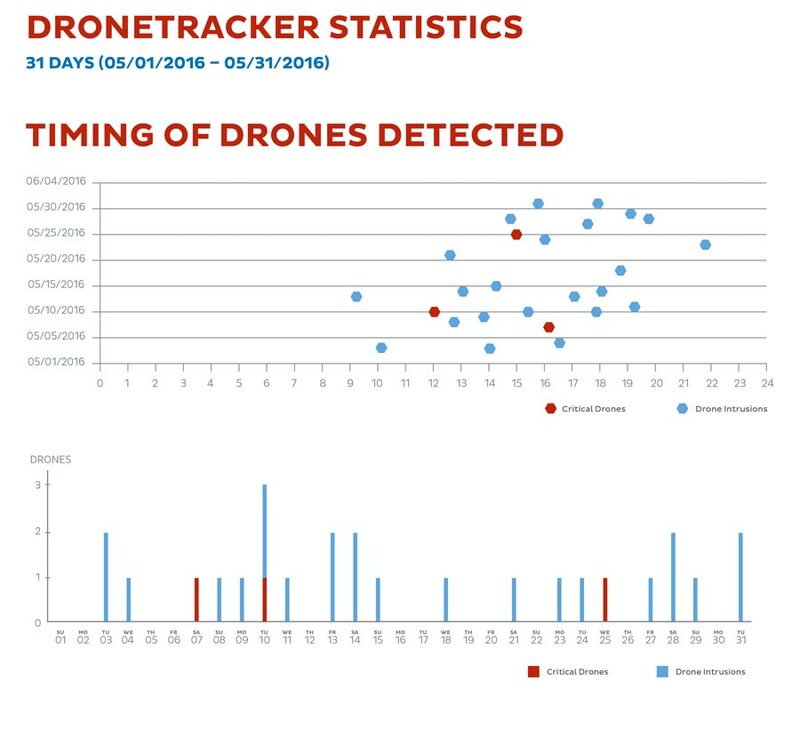 DroneTracker reliably detects and identifies unmanned aircraft (UAVs) operating within a defined exclusion zone. The system notifies the alert in real time via SMS, email or other methods. Completely manages airspace surveillance. It can be integrated into your security systems with ease. 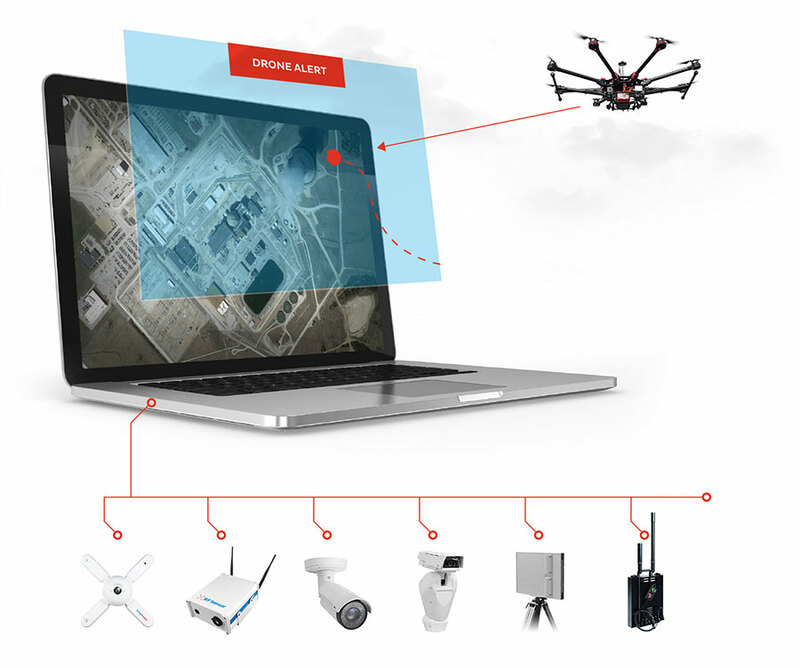 With an easy-to-use interface, the software allows the configuration of multiple sensors, active, passive countermeasures and alerts against hostile drones, which can be activated automatically and notified to the security services. 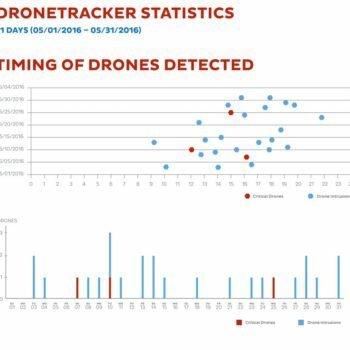 DroneTracker is a sophisticated software platform based on drone classification and detection. System automatically classifies, issues alerts, and records evidence to identify and assess potential threats, and can automatically trigger offensive or defensive countermeasures if needed. 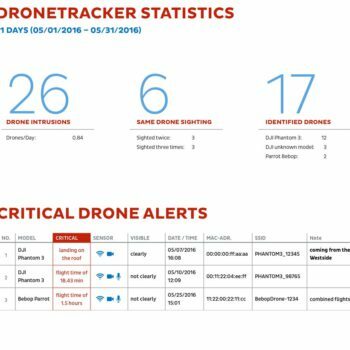 DroneTracker notifies you with an alarm as soon as it senses the approach of a drone. You decide which channels you wish to be used for notification: SMS, user interface, e-mail, network (TCP/IP), SNMP or Pushover.net. 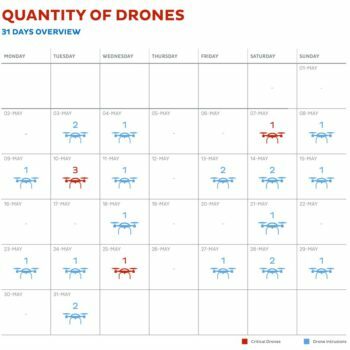 All drone flights are recorded and stored locally. 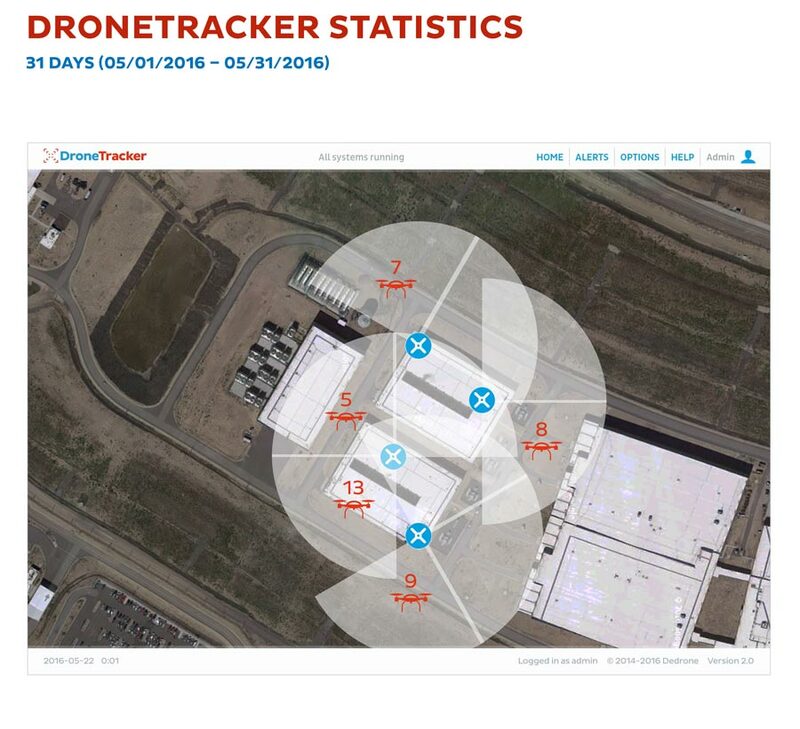 The RF Sensor passively collects details about the drone and can identify repeat offenders. 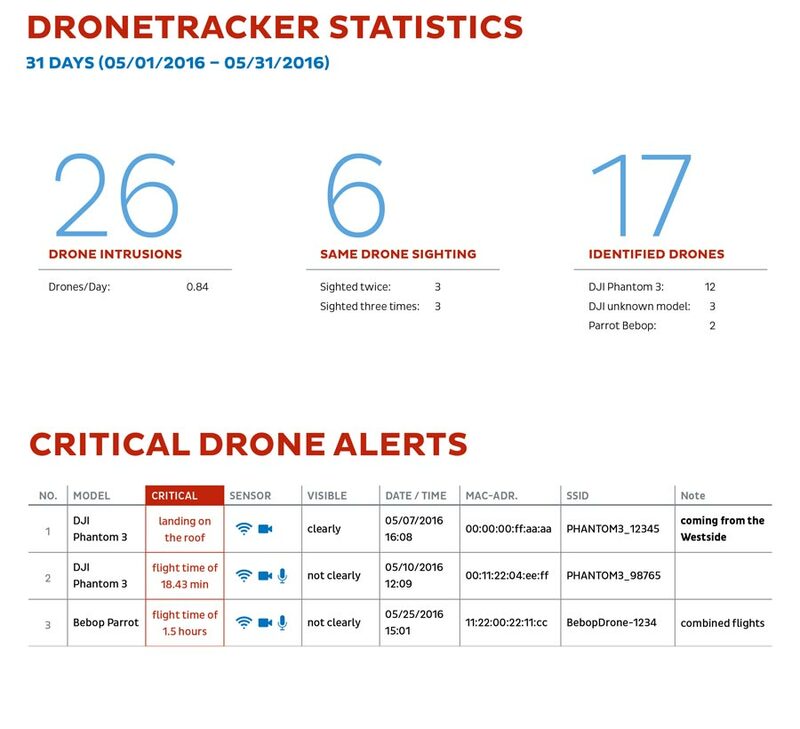 The next logical step is to enhance situational awareness, for which DroneTracker uses cameras. 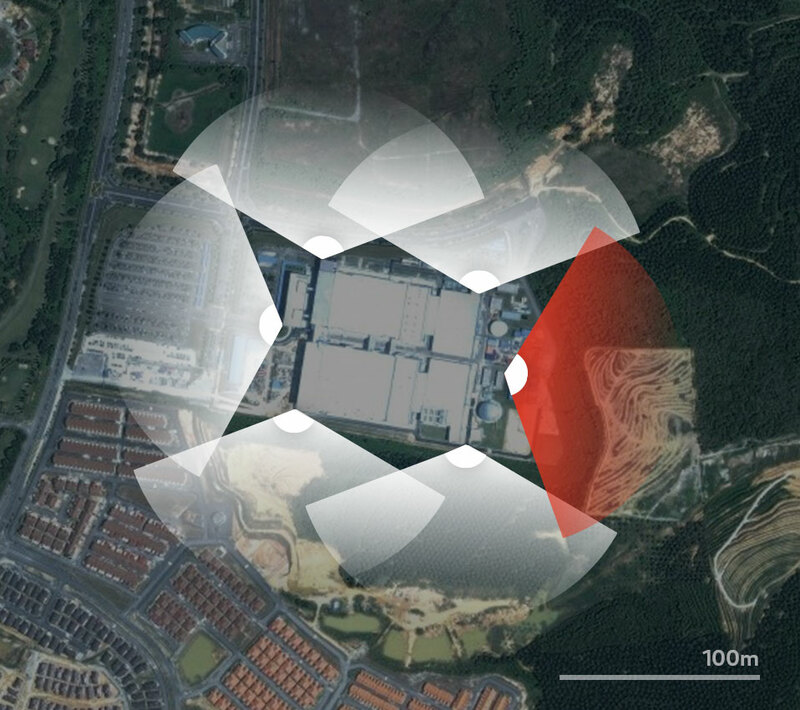 Video cameras are used to classify accurately whether detected objects are drones or not, as well as to record video evidence — including the flight path of drone. We offer you remote system configuration support, troubleshooting, and software updates at any time. 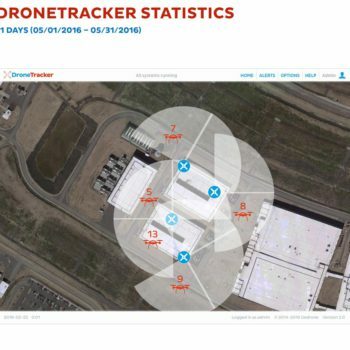 If your DroneTracker is not connected to the internet for security reasons, we provide updates on an external data carrier. Future-Proofed: A software-first approach with over-the-air updates future-proofs customers by making sure their installations stay up to date automatically. We continuously collect the specific characteristics of new drones in order to generate special drone signatures—known as DroneDNA. These signatures are stored in a central, cloud database and are used for drone recognition and identification purposes. 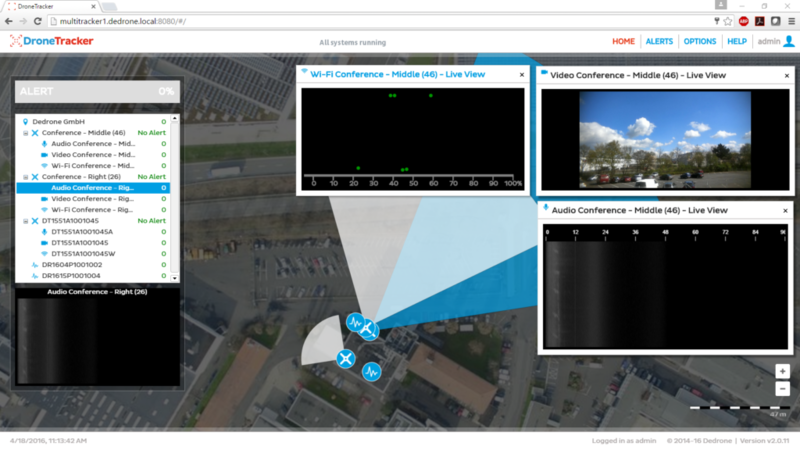 By combining several sensors, large spaces and sites in urban areas with complex layouts can be monitored and scaled effectively. 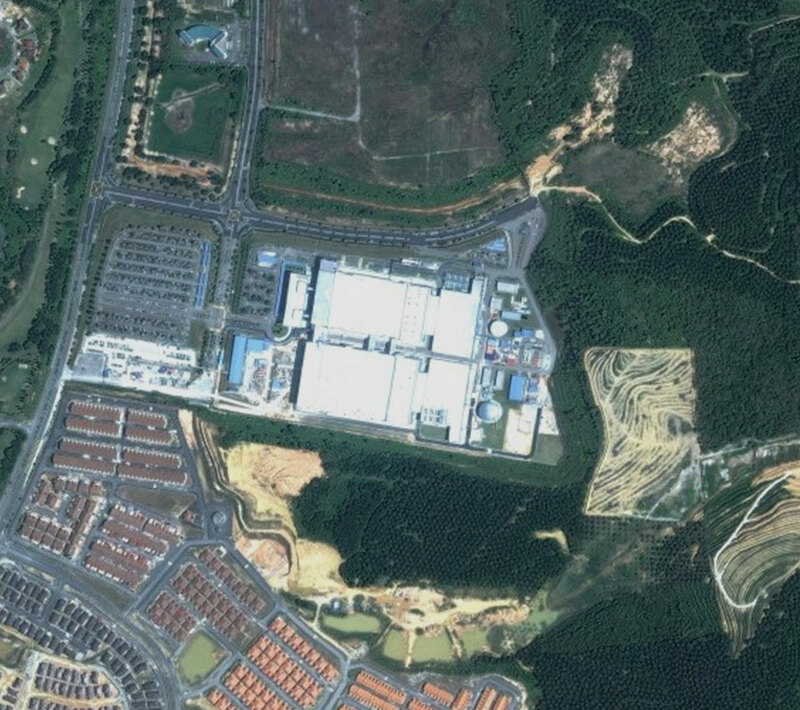 All sensor data is combined and processed centrally. 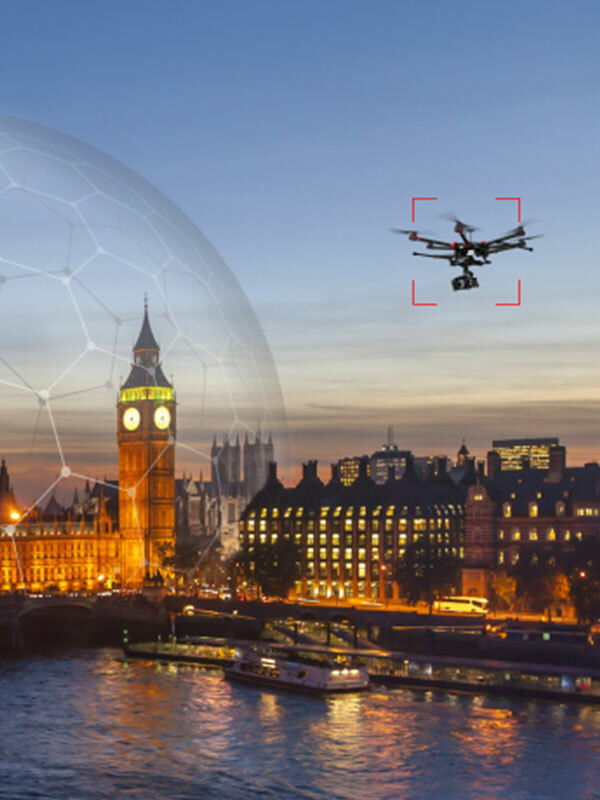 Our aerial intrusion detection platform provides early warning of malicious drone activities through one or more sensors. 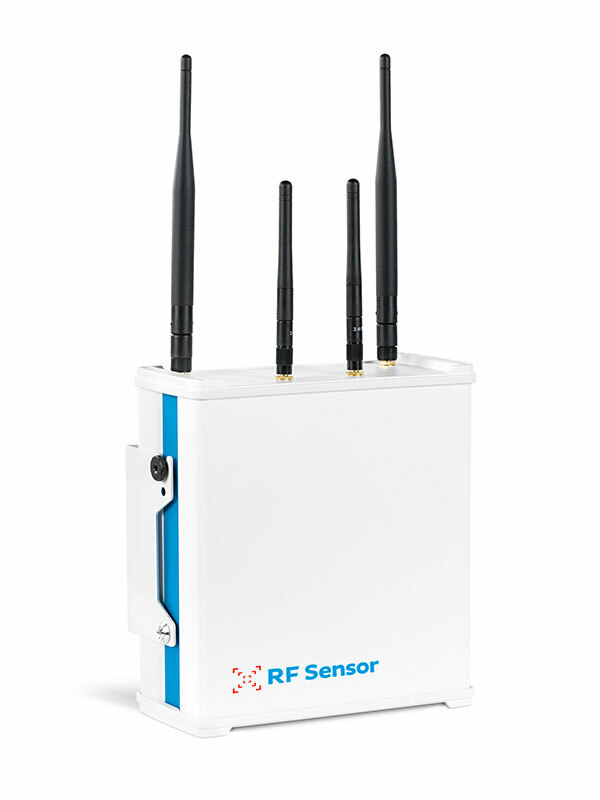 The RF Sensor is the foundation of your drone detection solution. Video sensors may be added to aid detection and to provide real-time view as well as archived evidence. More external sensors can be integrated into the platform via API. 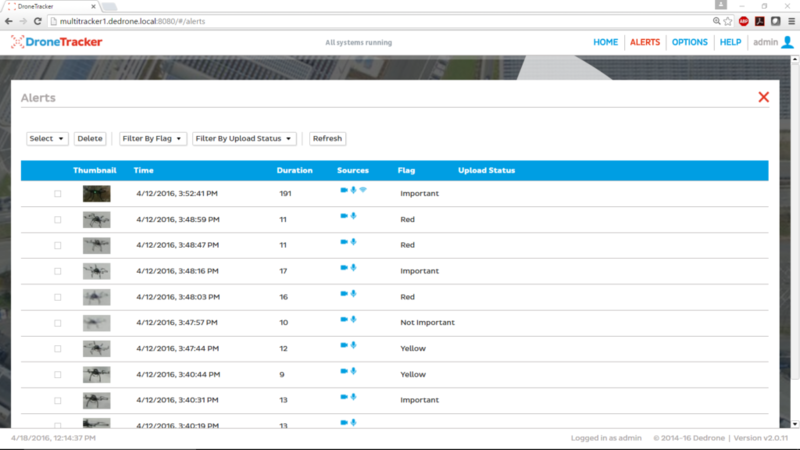 Automated Push To 3rd Party API’s DroneTracker can be connected to your existing security system using its extended API access to communicate with existing sensors. For example, previously-installed surveillance cameras could be integrated. Additional, third-party security products such as automatic blinds, fog bombs or jammers can also be connected. Our technical support team will help and advise you on site during the planning, installation and optimal configuration of your DroneTracker system. If you have any technical questions, we will also be happy to provide support via hotline and e-mail. 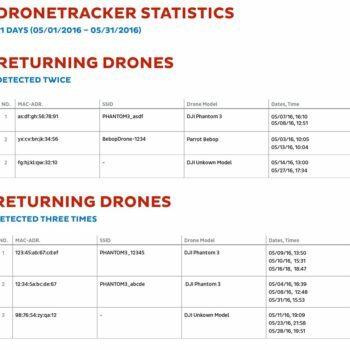 The DroneTracker system makes it easy to create detailed reports, intrusion statistics and drone identification in the secured space. The DT RF Sensor is a Detection element, a passive sensor connected to the network for radio frequency (RF) detection and Wi-Fi signals. Detection of analog video signals. Decoding and recording of video signals. Detection of cameras with first person vision. 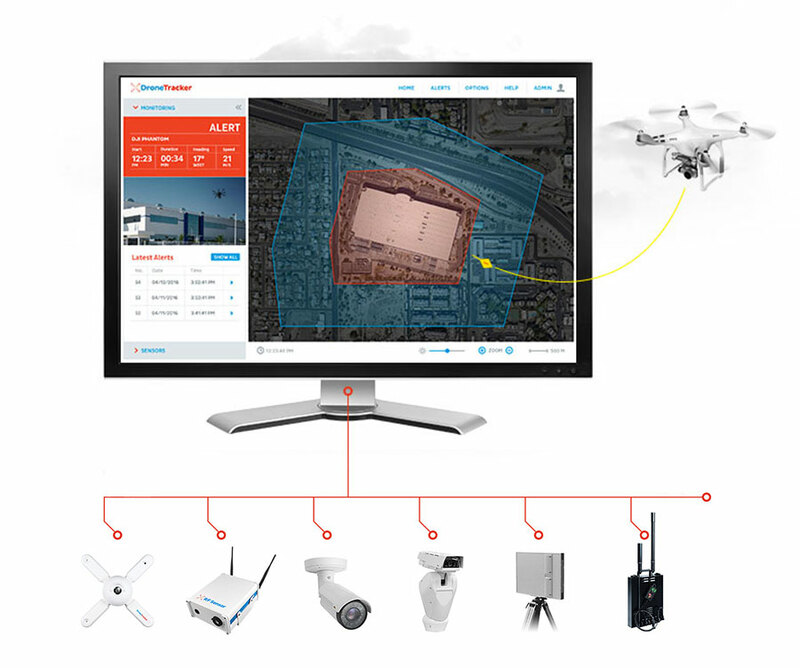 Control Center DT is an Identification item that allows you to easily configure the DroneTracker system, retrieve data such as videos, or history of previous drone alerts, generate reports, etc. It allows defining different zones with different alerts. DroneDNA classifier: model identification and neural network classifier. Neutralization systems are classified into two types passives and actives. Passive neutralization elements do not require specific action, are automated and activated 24h/7d. The assets require the action of a person, taking action against the ship, being able to: capture it, land it or force it back to its origin. Many of the neutralization systems function as inhibitors (jammers) at different frequencies, which make communication between the pilot and the ship impossible or even take control of the drone. 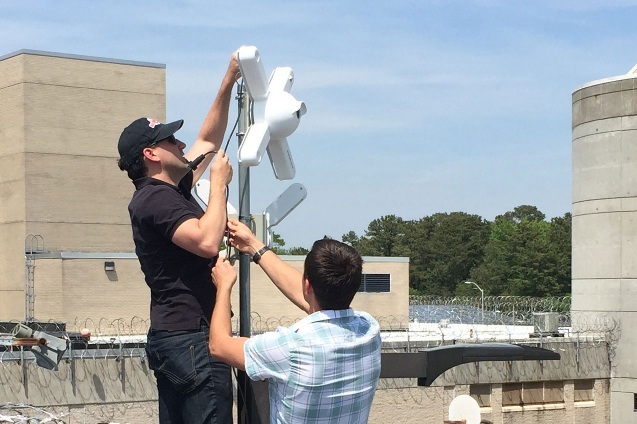 SkyFence™ is a passive electronic countermeasure system that prevents drones from flying over a protected facility, creating a defined exclusion area. It is fully programmable and can be activated via sensors or manually. 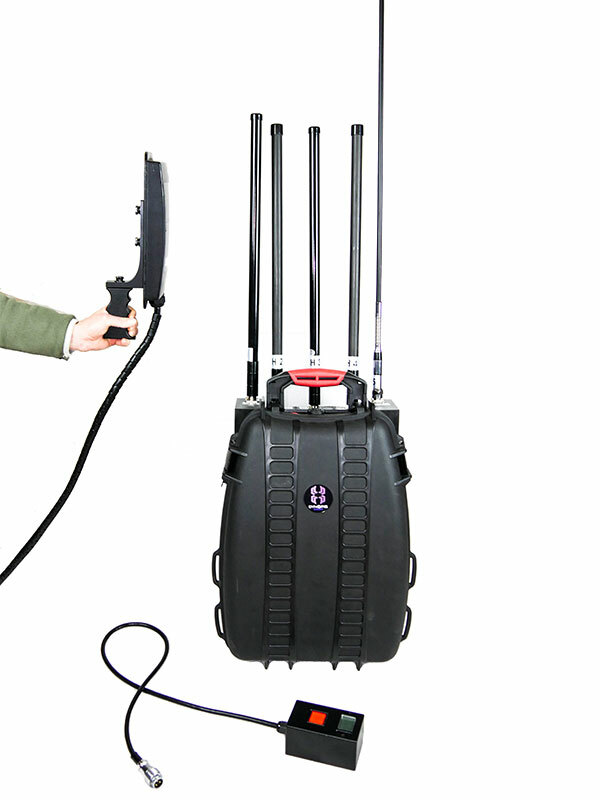 The Dynopis E1000MP is a portable anti-drone solution. It is safe, simple to operate and effortlessly transported. The device uses electronic measures focused on blocking the control and video signal from drones, minimizing unwanted interference with other local devices. 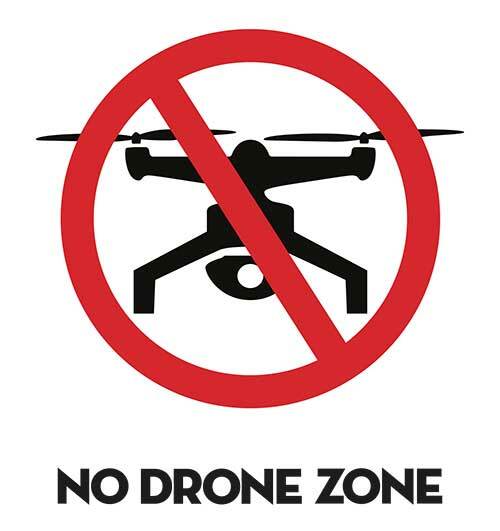 With a range of up to 1km, if you can see the drone, you can stop it. 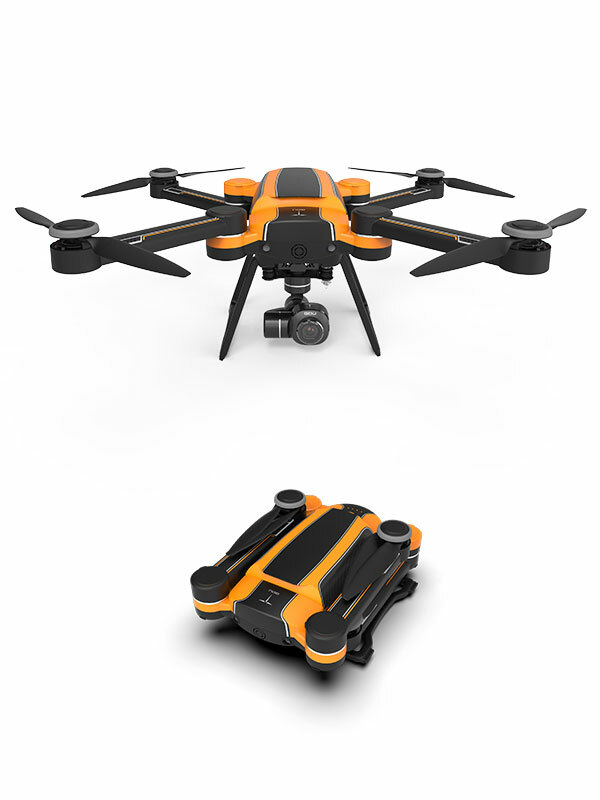 GDU SAGA is a light industrial UAV system with military quality, folding design, and super industrial performance, as well as having a variety of intelligent payload support and open platform integration capabilities. It is capable of making great achievements in the fields of public safety, forest fire prevention, petroleum, electricity, traffic, and maritime patrol. Drone Zoro 01 PRO X is a portable inhibitor (jammer) designed to interrupt the flight of UAVs, using different types of radio waves forces them to go to definite point or to return to its point of origin, without causing any damage to the ship or to others technological apparatus. It is an easy-to-use device to deal with unwanted incursions of drones with a maximum range of 1 km. Portable solutions are designed for the temporary uses. 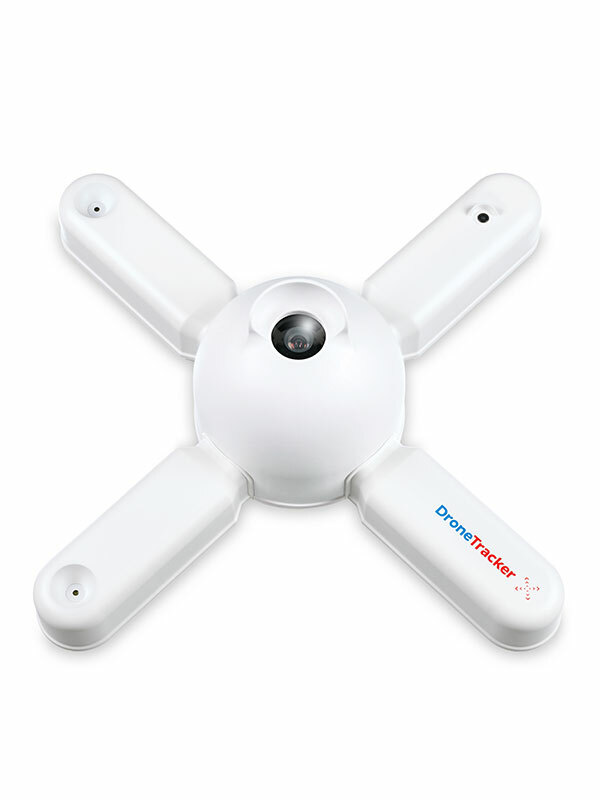 The DroneTracker Event Kit consists of MultiSensor and RF Sensor that can be configured anywhere independently. 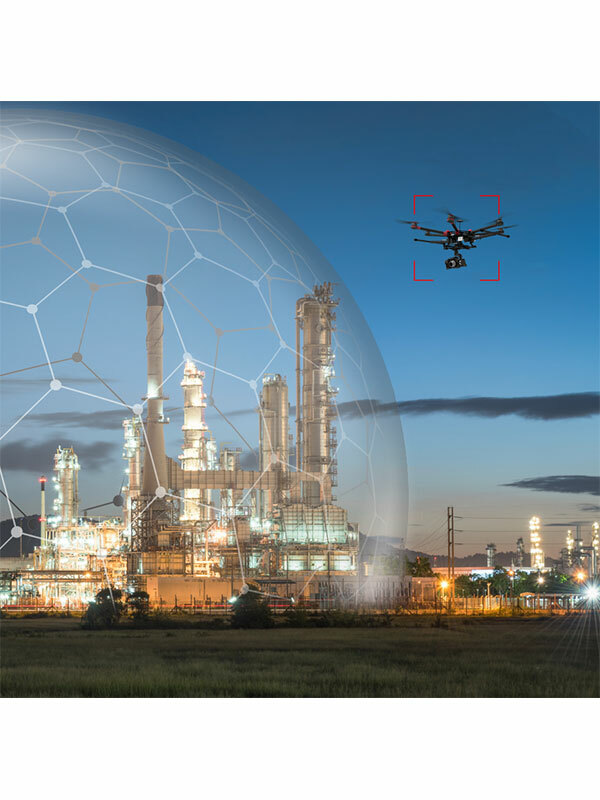 It detects and identifies drones reliably by combining multiple sensors, correlative data and analytical analysis. 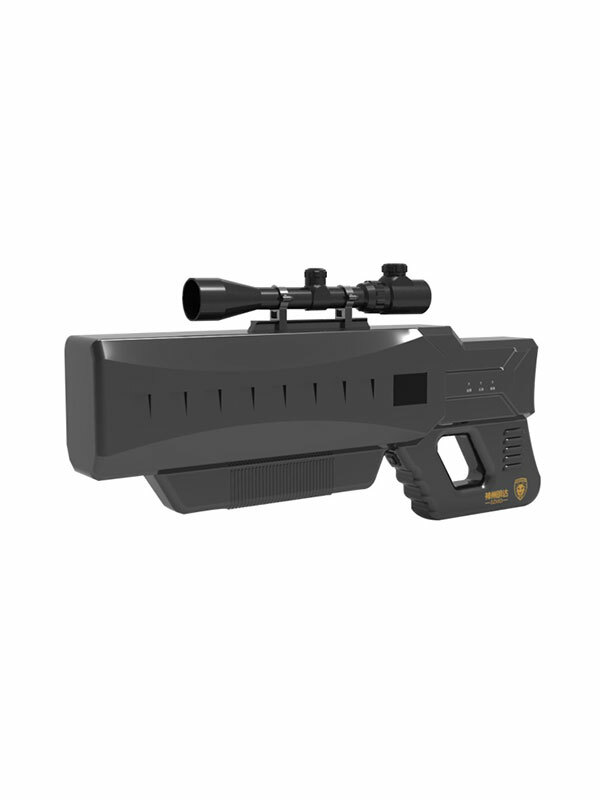 Net Gun, Dynopis and / or DroneDefender. Designed for temporary use, the Events Kit DT consists of MultiSensor and RF Sensor. It can be configured in any place independently (with batteries). 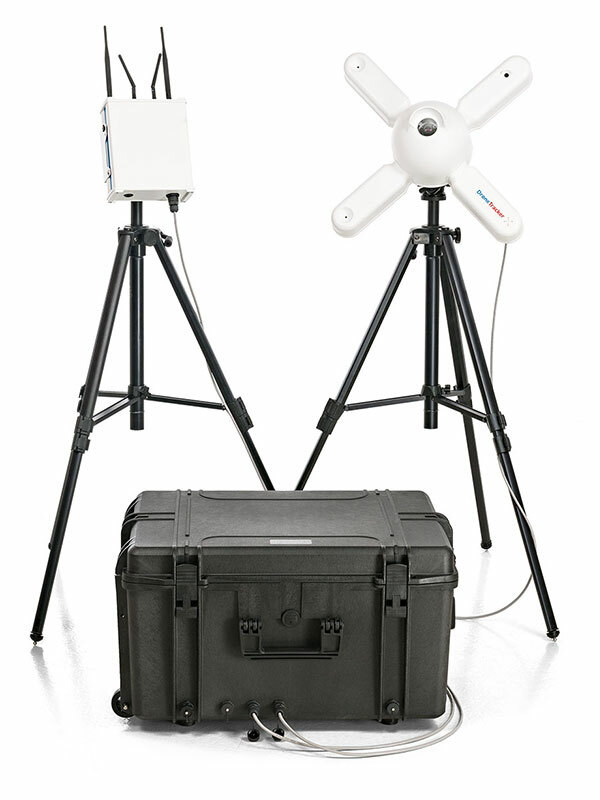 The Event Kit consists of a suitcase, two tripods on which to mount the DroneTracker sensors: MultiSensor, RF Sensor. Do not worry, we will take care of the entire installation process. – or a Google Eath map, for example -. We will determine how many sensors are needed for optimal surveillance and where they should be installed. The centralized software architecture allows the integration of an almost unlimited number of sensors in a system. 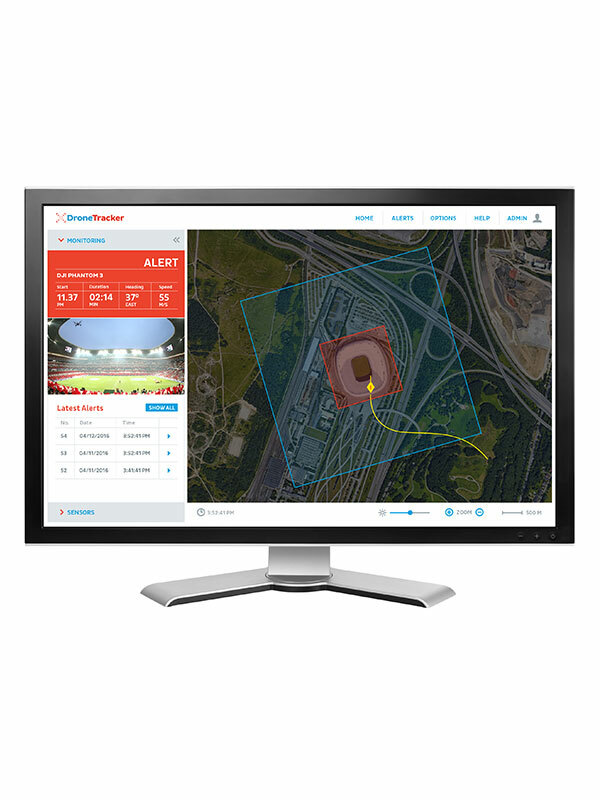 With an easy-to-use browser-based software interface, the DroneTracker system is configured with just a few clicks, through your computer, tablet or smartphone. 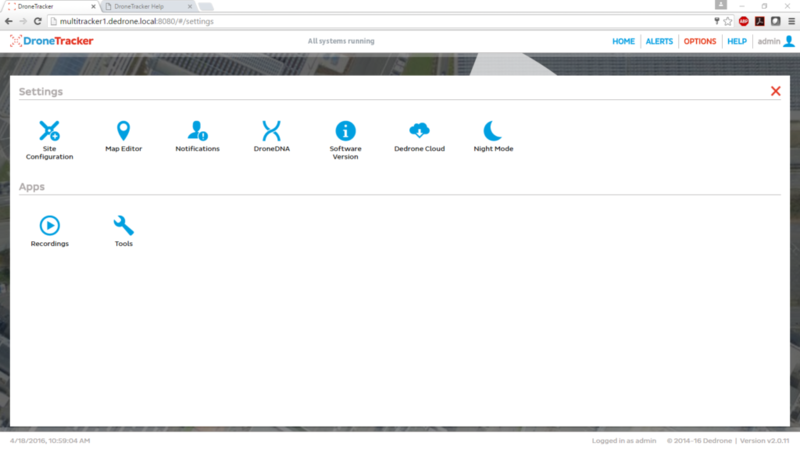 The system is updated regularly through the cloud. Contact us to extend information, to show a demo or to consult any detail.